Google+ FANNY LEE & THE TEAM :Own Homes. Grow Wealth. Pass It On. : New Homes - The Enclaves of McNicoll, Leslie & Finch V.V.I.P. 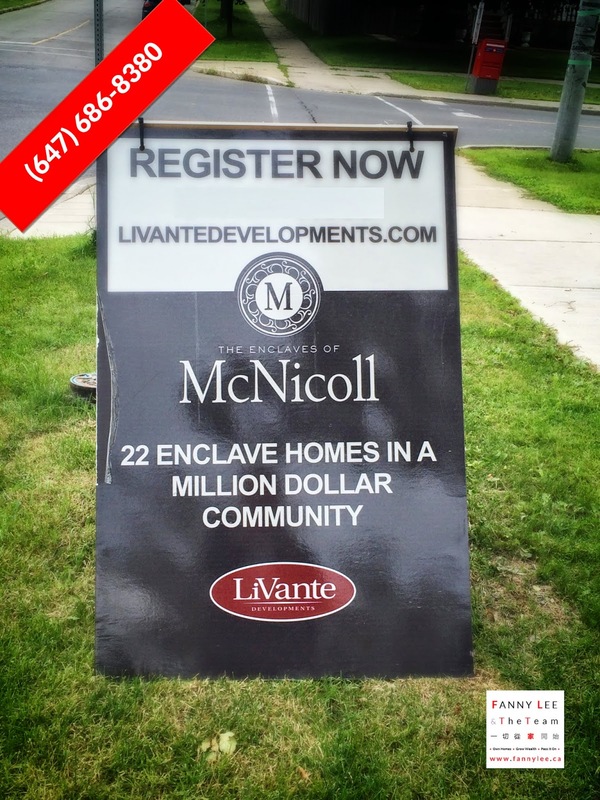 New Homes - The Enclaves of McNicoll, Leslie & Finch V.V.I.P. Discover a private cul-de-sac community of 40' & 50' luxury estate homes at McNicoll Ave, just west of Don Mills Road. Situated amngst the peaceful landscape of the Don Valley, this community constitutes North York's finest offerings of executive million dollar estates. Enjoy a perfectly blended life of convenience and elegance, just moments from Hwy 404, GO Transit and top rated Toronto schools." [ 簡介 ] HILLCREST VILLAGE 由名發展商興建 ，北約克高尚地段 Leslie 夾Finch 二十二間豪宅單位，由3500 到4000 呎，分40 或50 呎 Lot size. $1,600,000起，预期 2016 年春季收樓。機會難求，請即致電登記! Contact us to REGISTER NOW !